Develop the church vision of being a Christian Community Hub in the centre of Welwyn Garden City sharing God’s love with the wider community. To reflect on what it means to be a disciple of Jesus including those we come into contact with, so we all live out our faith in a way that is relevant, contemporary and accessible to everyone we meet. To reach these objectives, I create awareness of the WGC United Reformed Church by organising events and facilitating hall hiring. We have two groups – one Home Group meeting on a Thursday 8-9:30 pm and another on Friday in the Quiet Room at the URC 10-11:30 am.You are most welcome to join us on our spiritual journey as we explore the Bible. 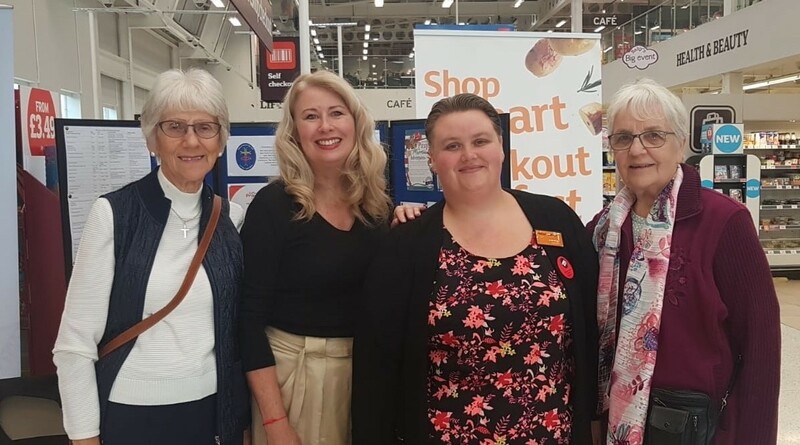 We are so blessed to be chosen as a partner of Sainsbury’s Welwyn Garden City and to have a Food Donation Collection Point in the front of the store. This partnership has enabled us to provide donations to various charities and community groups. We would like to thank Sainsbury’s customers, our URC congregation and the wider community who all contributed and still continue to do so, since without your continued support we are not able to reach out to those who are in need. The charities were overwhelmed with the generosity of the donations they received – please see the attached letters.